Who doesn't find masculine cards difficult? I barely seem to have made any blokey cards recently so it was good to crack open the more masculine colours. 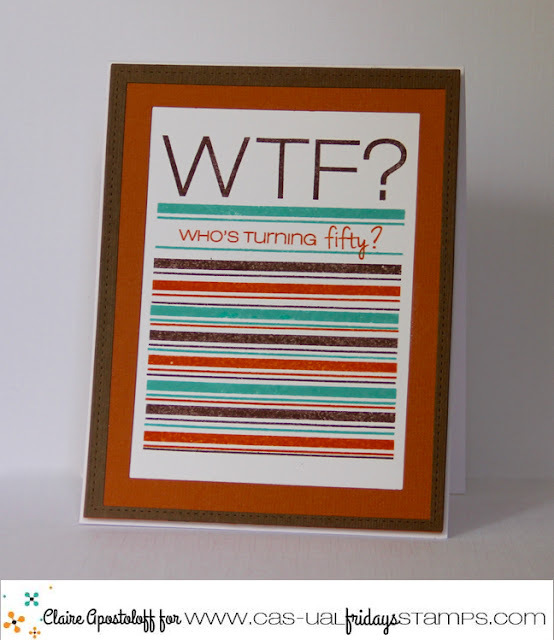 For this one I used WTF which is such a fun set, especially for those celebrating the big 40 or 50. I kept mine very CAS and stamped the border lines and sentiments (yes, a Misti is on my never-ending wishlist) in a variety of colours. I then matted and framed it in contrasting card stock. So what will you make for the big/little men in your life? Link up your projects by 31st May to be in with the chance of winning a $25.00 voucher for the store. 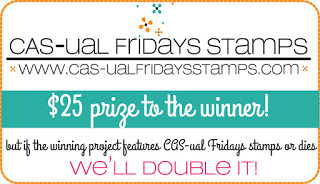 Use Cas-ual Fridays Stamps as the main focus of your card and Michele will double the prize! Can't wait to see what you come up with - make sure you check out the rest of the design team's projects...you're sure to be inspired!